We complete Residential HVAC work. Trust TJ's to handle your Gas Fire Pit installation! Take your old fireplace space and convert it, with an insert for a more economical and cleaner heat system for your home. Contact us about our winery cooling and installation services. TJ's services Commercial Food Trucks! We offer Commercial HVAC Services. Here is a little about us……..
WHAT CAN WE DO FOR YOU:TJ’s is LOCAL and has the experience to take care of you! We won’t send out a “new” guy on the job to experiment with your equipment. We have seasoned and well-trained technicians that have been employed by TJ’s for years, and will troubleshoot your problem on the spot. Whether you have kitchen equipment, ice machines, temperature-controlled rooms, walk- in coolers or ovens, or just a heater or air conditioner that won’t work we can help. 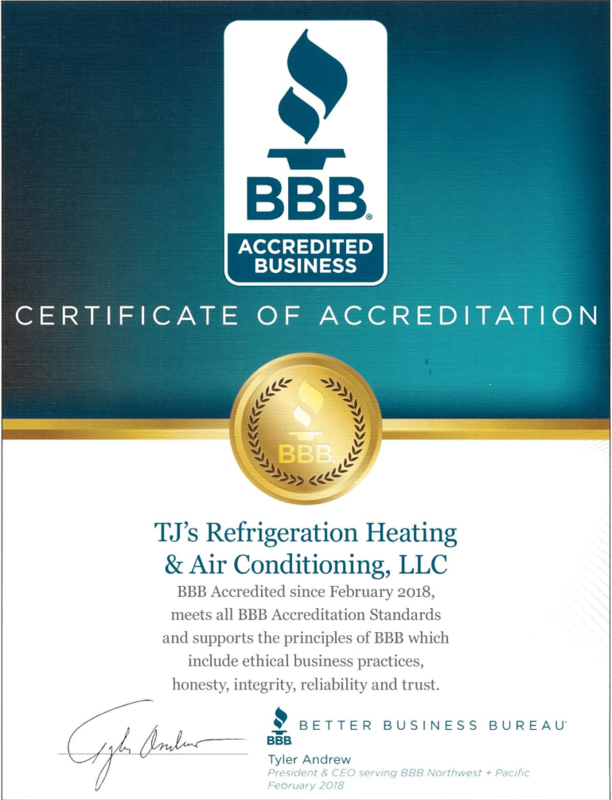 Copyright © 2019 TJ's Refrigeration LLC Heating & Air, all rights reserved.